This is one of our most recommended motorbike tours in Vietnam, within 11 day riding motorbike on some of the most imposing mountain passes in Northern Vietnam, you’ll have chance to visit the most beautiful terrace fields, the unique Rock Plateau in Ha Giang – Dong Van and the largest and most beautiful lakes in Vietnam – Thac Ba and Ba Be lake. The 11 Day Vietnam Motorbike Tour is the mixture of on and off-road motorbike ride with local culture discovering. Depart from western outskirt of Hanoi at about 9:00, motorbike down to the south west of the Hanoi on the big free way. After one hour ride we’ll be in the countryside where the motorbike holiday is really enjoyable with riding on the back countryside roads, seeing green nature and meeting smiling local people. 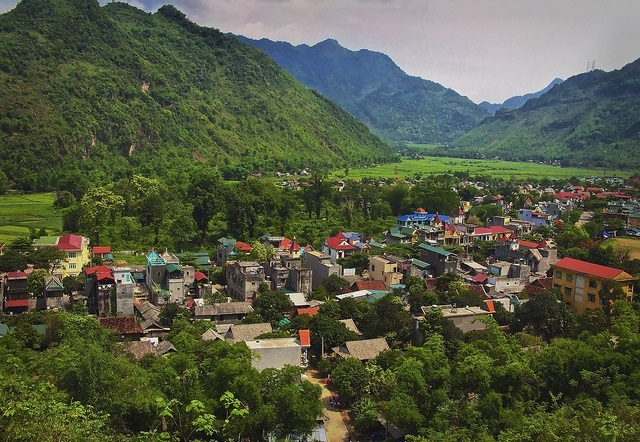 The motorbike ride to Mai Chau valley in the afternoon is surely the highlight of this North Vietnam motorbike tour. We’ll be in Mai Chau at about 5:00 pm. Home stay with the Thai People. After breakfast and saying good bye to the Thai host, we keep motorbike touring up North Vietnam to Phu Yen. This is the short ride but offers many stops for picturing of landscapes and visiting the villages of local hill tribes. This ride also takes you to Moc Chau plateau in which the large and green tea fields become well-known to the Vietnamese people, in the afternoon, this Vietnam motorcycle tour to Phu Yen offers a short but amazing ride along the beautiful Da river. 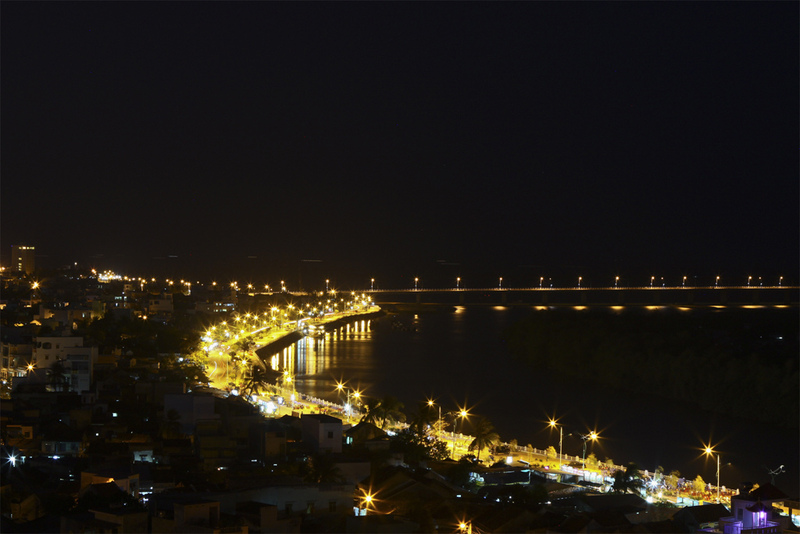 Finish the enjoyable second day of the tour in north Vietnam in a peaceful town Phu Yen at around 5:00 pm. Check in the standard hotel in town. For many riders all over the world, Northern Vietnam includes some of the best routes for motorcycle touring and the route from Phu Yen to Than Uyen via Mu Cang Chai is one of them. The road today is all what you wish to ride on a motorbike tour in Vietnam with beautiful rice terrace fields, colorful hill tribes along the road, quiet traffic and long mountain pass with imposing view. The ride offers many stops for picturing and visiting the local people. This promise to be one of the best motorbike tours in Vietnam. We’ll be in Than Uyen town and finish a great day ride at a hotel at around 5: 00 pm. Hotel stay. After breakfast in Sapa, we’ll hit the road all the way down from Sapa on another side of the Hoang Lien mountain range. It also offers a great view of mountain with more terrace rice fields. The motorbike ride to day is almost on the smooth roads along the Chinese border through some rustic villages and nice terrace fields. We’ll end the fifth day of Northern Vietnam motorbike tour in the little town of Bac Ha at around 4: 00 pm. Check in a standard hotel in town. Day 6: Bac Ha – Ha Giang: 190 km - Vietnam motorbike tour to Ha Giang. This Vietnam motorcycle tour to Ha Giang today gives you a completely different taste of riding. It has more off-road motorbike riding options and also offers a different view of mountain from the ones you’ve seen before. In addition, the ride via Hoang Su Phi could give you one of the best view of rice terrace fields if you come at the right time, it will surely make you feel worthy to be here with the motorbikes. This could be the highlight of this 11 day motorbike tour in North Vietnam. We’ll arrive Ha Giang at around 5:00 pm. Hotel stay. Ha Giang – North Vietnam is always the best choice for motorcycle touring in Vietnam, being famous for the large and breathtaking plateau of rock with colorful and friendly people living around, Ha Giang and Dong Van Global Geo-park is always attractive destination for motorcyclists whenever they come, you can see here the different beauties in different times and seasons. This Vietnam motorbike ride around Ha Giang should be the best part of the long motorcycle tour in Northern Vietnam. We’ll end the day in the middle of the rock plateau – little town of Dong Van at around 5: 00 PM. Hotel stay. This is another short day for motorbike riding in North Vietnam but it’s still one of the most enjoyable rides. After breakfast, we can have a walk around the Dong Van ancient town, trying a tasty local coffee or we can have a longer walk up to some of the hills nearby the town where the French built the bastions on during the war time. We’ll resume the North Vietnam motorbike tour at about 10:00 am, keep enjoying the wild beauty of the rock plateau. This motorbike ride from Dong Van to Bao Lac crosses the Ma Pi Leng – one of the biggest mountain passes in North Vietnam it surely offers amazing view of rock mountain. The motorbike ride in the afternoon offers less rocky but more green mountain, that makes the tour more joyful. We’ll in Bao Lac town at about 4:30 pm. Check in a standard hotel in town. Day 9: Bao Lac – Ba Be lake: 150 km. After a simple breakfast in Bao Lac, we keep riding motorbike along the Gam river on the up and down mountain passes crossing some rustic villages with the colorful local kids standing on the roadside waving their hands. Just one hour riding motorbike on the smooth road then we’ll make a turn to rugged roads then starting a great off-road motorbike ride in Vietnam. The road is mostly bumpy crossing through some nice terrace fields, peaceful villages and some streams. This must be one of the best off-road motorbike tours in North Vietnam. We’ll be in Ba Be lake at around 3:00 pm, leave the bikes at the village of the Tay people who live closely to the lake then spend a short boat tour on the largest natural lake in Vietnam – Ba Be lake. Home stay with the Tay people. After breakfast with the Tay family, we keep motorbike touring in north Vietnam to the largest man-made lake in Vietnam – Thac Ba lake. The motorbike ride to Thac Ba lake today is easier than the days before, the road is quite smooth and flat crossing some rice paddies and green large tea fields. It’s short but quite enjoyable motorbike tour with interesting info from the experienced tour guide of Vietnam Motorbike Tour Expert about the Indochina and Vietnam war when we do stopping at the Tan Trao and Dinh Hoa ATK, especially in the afternoon, when we arrive at Thac Ba lake we’ll have another short boat ride around the another “Halong bay on mountain” – Thac Ba lake with thousands of islands. This could be the highlight of this 11 day motorbike tour North Vietnam. Home stay with the Dzao people. After saying goodbye to the friendly hosts of The Dzao village, we’ll enjoy final riding day of tour. Unlike the other motorbike tour organizers in Vietnam, the experienced team of Vietnam Motorbike Tour Expert will take you on the safest and nicest roads back to Hanoi, even we can offer some off-road ride before heading back to busy Hanoi. We’ll be in Hanoi and end the great North Vietnam motorbike holiday before 4:30 pm.